How I got this book: Funny story: I was living in Chengdu, China when the author came to the city promoting it. I wanted to go, forgot about it and ended up missing it (woe). Fast-forward a year later. My friend decides to give me this book for my birthday (previous story unknown to him). Fast forward a year later, and I've finally finished reading it. Why I read this book: The thing I miss most about China is the food and Chengdu. This book was a combination of both. I miss China. I lived there for about a year back in 2008-2009. 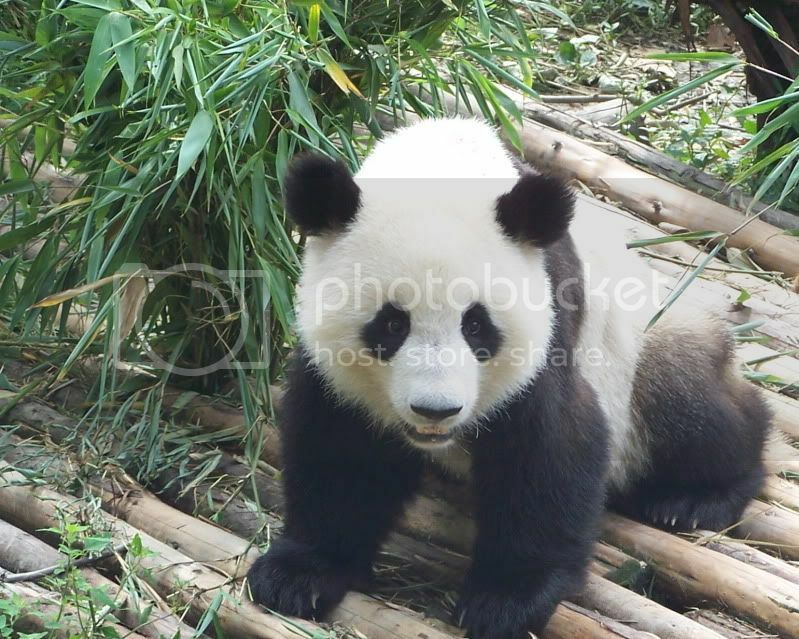 More specifically I miss Chengdu: the ease of life there, the laid back friendless of its people, and it's spicy hot delicious flavors. Shark's Fin and Sichuan Pepper takes me back to the time I spent there, so much so that I can almost taste it again. 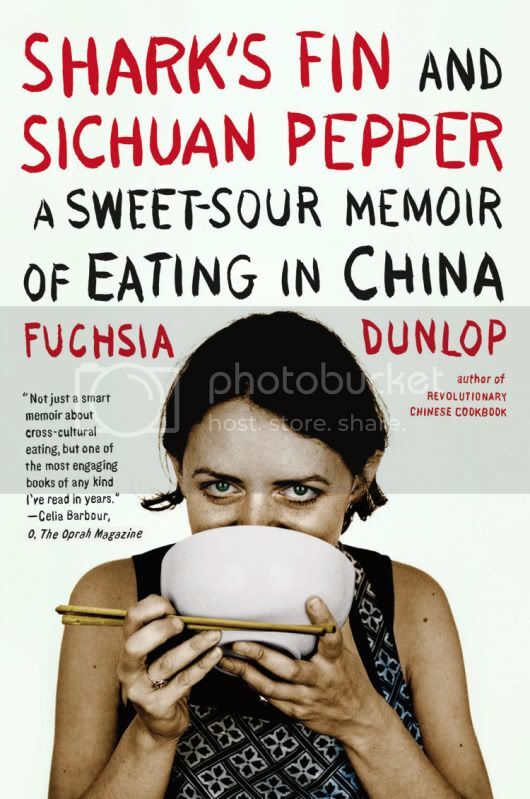 Shark's Fin and Sichuan Pepper is a memoir chronicling Dunlop's time in Chengdu when it was changing into the city that it is today. During this time, Chengdu did not have a high foreigner count (Fun Fact: when I was there, it still didn't: ~11mil. total people in the city of those ~24,000 were foreigners). Her tale is a story of how she got there and what it was like being a foreigner in the city. Not only that Dunlop was the first foreigner (and a female! gasp!) to attend the famous Sichuan Cooking School. While talking about this exploits and more, Dunlop interweaves a tale of the culture of a changing China with the thing Sichuan people know best, their cooking. Each chapter centers around a main theme, be it food or a cultural phenomena, and thus together they tie in a loose narrative. I found it best to read this book chapter by chapter, taking time in between each to savor the memories left on my tongue. It's hard, well impossible really, for me to separate myself from my experiences and review this from an outsider perspective. But here is my probably fruitless effort to do so. Each chapter introduces the reader to an aspect of life in China, mostly through food or food metaphors. Dunlop tells a great story that is at the same time engaging as it is educational. Plus, each chapter either ends with a recipe related to what was talked about in the chapter or a fun little tidbit, like the different fire levels of cooking things or the names and shapes of different cuts of food done with a cleaver. All in all, I think this would be an enjoyable read for anyone who is interested in the Chinese culture or loves food/travel related memoirs. For me the best part after being able to relive my memories was being able to put it down after a chapter and pick it up again months later, not needing to remember what was happening and still enjoying it all the same. Overall a delicious read that evoked powerful emotions (be it memory or revulsion; the chapter on textures pretty much had me wearing a grimace through the entire thing) that I believe would be fun for the traveler to China or the traveler that travels in dreams and words. This looks awesome! I love a good memoir..especially taking place in a country that I want to go to! Adding it to the TBR. That looks like a really nice book! Just last week I reviewed Lost on Planet China by Maarten Troost (http://leeswammes.wordpress.com/2010/11/24/lost-on-planet-china-by-j-maarten-troost/) which you must have heard of? He travels through a lot of China but doesn't like it quite as much as you did. I'll look out for this book! I love really cool, unique books like this! Looks really awesome!